漢和英蘭: Language talk: Resources for 常用漢字表. Might be useful for dealing both with the latest 常用漢字 and their variants. The output folder contains lists that his script generates (from the official 常用漢字表 that is in PDF). However, the post also explained that Unicode has embraced a method to hard code local variants of characters that have been unified earlier (that for a long time to come won’t be supported by any software no doubt). It’s amazing that after so many years Unicode gets a kind of after the fact fix for the controversial choices made in the unification. I’m not sure what to think about it. 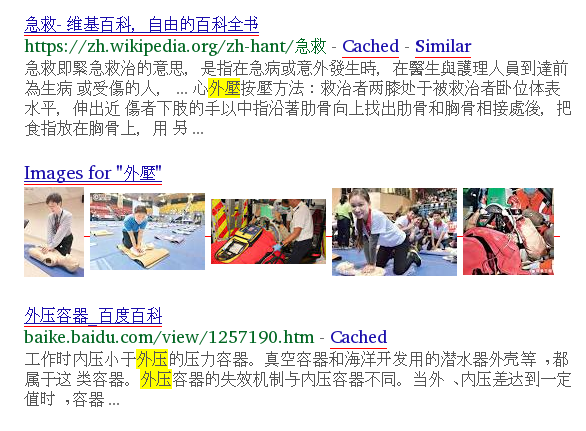 If I want to search for 外壓 only, excluding 外圧, I have to choose a language in the advanced search options page. Which is a workable solution. Will I update www.jiten.nl, when the new options come available? Maybe, if I’m still around then, and really bored.